I just blogged about getting back into my fitness routine, but since last week was a write-off, I felt it was okay to indulge. Lots of food was consumed this weekend. Among them- ice cream. 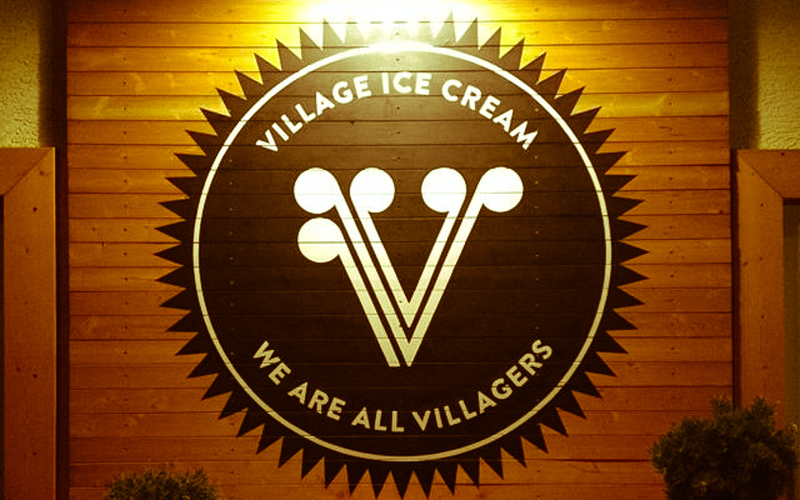 A colleague had raved about this new ice cream shop in Calgary: Village Ice Cream (located at 431 – 10th Ave SE). She described it as a pretty yuppie ice cream place, so naturally, Robbie and I had to go and try it out. They always have 10 flavours (which includes toasted coconut- yum! ), as well as seasonal flavours. They use local, seasonal and organic ingredients whenever possible, and the ice cream is made at the shop! Overall, I can’t say it was the best ice cream I’ve ever had (since that award goes to homemade coconut ice cream I once had in Trinidad), and the location is in an unexpected location, but there’s no denying that the ice cream was tasty. It’s another good option for ice cream in the city :).